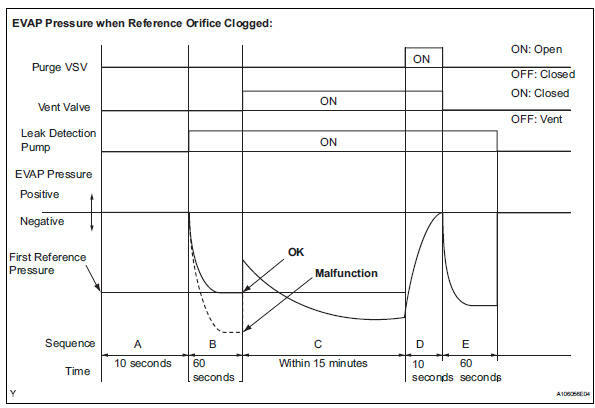 In operation b, the leak detection pump creates negative pressure (vacuum) through the reference orifice. 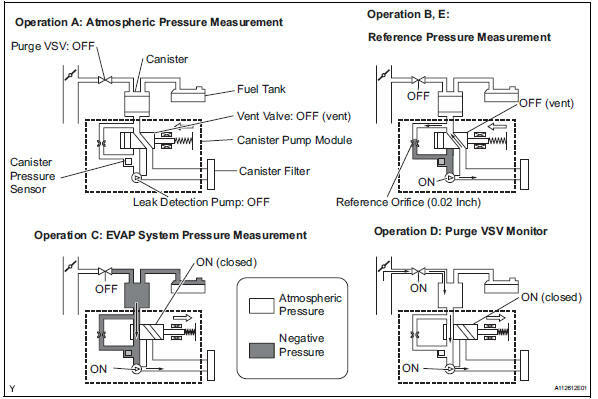 The evap system pressure is then measured by the ecm, using the canister pressure sensor, to determine the reference pressure. 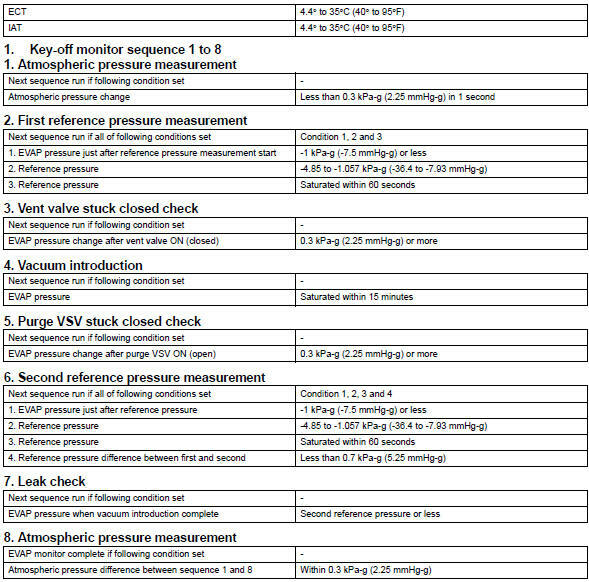 If the pressure is lower than -4.85 Kpa-g (-36.4 Mmhg-g), the ecm interprets this as a clog malfunction in the reference orifice, and stops the evap system monitor. The ecm then illuminates the mil and sets the dtc (2 trip detection logic). 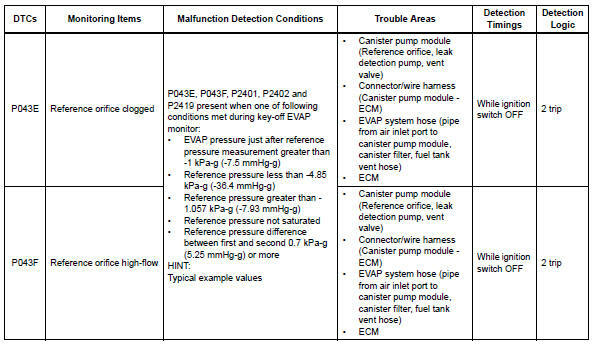 The evap system pressure is then measured by the ecm using the canister pressure sensor to determine the reference pressure. 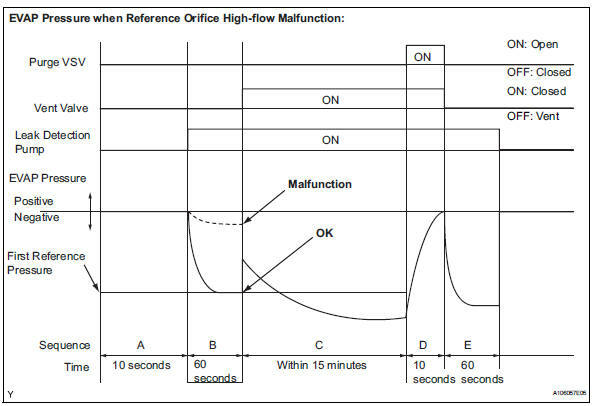 If the pressure is higher than -1.057 Kpa-g (-7.93 Mmhg-g), the ecm interprets this as a high-flow malfunction in the reference orifice, and stops the evap system monitor. The ecm then illuminates the mil and sets the dtc (2 trip detection logic).